Candidates has to pay Rs. 100/- through “SBI Net-Banking/ Credit Cards/ Debit Cards” or through SBI Challan at any branch of SBI. (No charges for Women/ SC/ST/PH and Ex-Servicemen) . 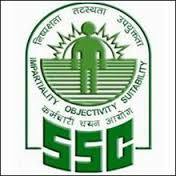 Aspirants are adviced to apply online at SSC Recruitment website http://ssconline.nic.in/sscselectionpost prior to due date i.e. 26/09/2016.